Last night’s Silicon Beach Startup Christmas party was perhaps the best function of the year! With a purported 280 attendees lending weight to the proposition that Brisbane is arguably Australia’s start-up capital. The organising committee chose a great venue in the Exchange Hotel. 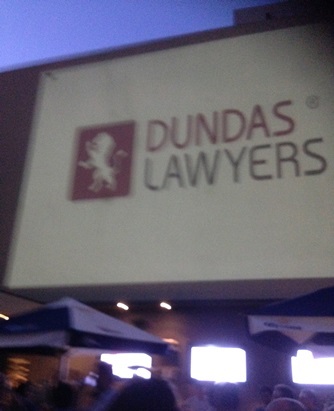 Seeing the Dundas Lawyers brand the size of a theatre screen in the middle of the Brisbane CBD was a highlight! Dundas Lawyers is an active participant and supporter of the Brisbane Start-up community and looks forward to continuing our involvement in 2014.